Starting today, GusGus, the electronic act from Iceland, are set to tour North America and Mexico on a 9-date run. A rotating cast of members and a career spanning just over 20 years, Biggi Veira and Daníel Ágúst will take GusGus all the way from New York to LA and many places in between. Having remixed acts such as Depeche Mode, Björk and Sigur Rós, GusGus are no strangers to innovative experimentation and have apparently repeatedly gained themselves critical acclaim by demonstrating a grasp of analog hardware. 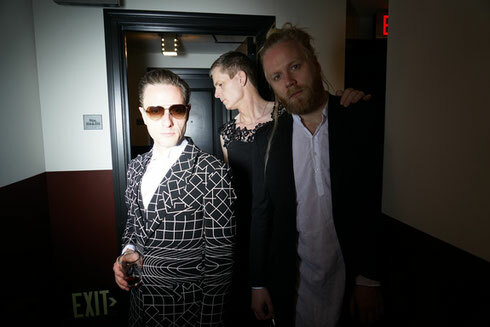 The Icelandic outfit will be performing live in New York, Montreal, Miami, Detroit, Chicago, Mexico City, Guadalajara, Tijuana and Los Angeles, giving ample opportunity for longstanding fans to see the band in action. Combining visuals with techno instrumentation and ethereal vocals, GusGus' live show should be something to look forward to in the electronic scene.